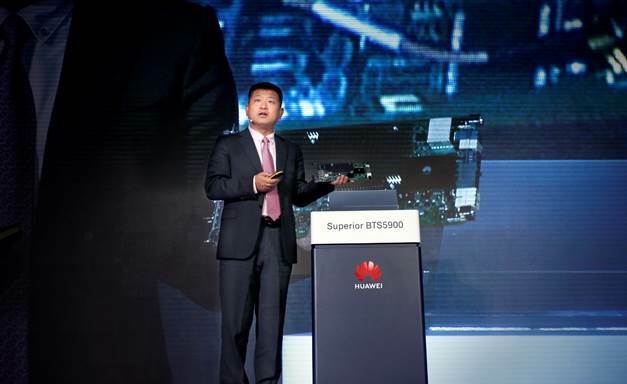 Huawei has introduced a series of solutions for autonomous driving mobile networks, including the MBB Automation Engine (MAE) and BTS5900 series base stations. In a press briefing in London before the Mobile World Congress last month, the Chinese tech giant said that major concerns operators have raised concerning the launch of 5G networks include increasing network complexity and rising OPEX. Huawei’s MAE and BTS5900 are automation tools for the 5G era. As the brain of mobile networks, the MAE is the management and control engine that implements wireless network automation. Meanwhile, the BTS5900 series base stations with improved computing capability of 8 T FLOPS, supports the automation of wireless networks. “Multi-layer collaboration between the MAE and BTS5900 series base stations with more powerful computing capability, enables automation in all scenarios, improving the O&M efficiency by ten times, improving user experienced data rate by 30 percent, and saving energy consumption by 30 percent,” Huawei claimed. In the past year, Huawei said several global operators had initiated their 5G deployment plans, and the number of 3G and 4G users around the globe has reached 500 million within 10 and five years, respectively. However, it is estimated that 5G will take only three years to reach 500 million users. “This is the first time in the mobile communications industry that the system equipment and terminals grow and mature at the same time,” it said.